This season Deana Shaaban launches her highly anticipated Spring/Summer 2015 collection.Available in Zamalek, Maadi and Cairo Festival City Mall, these new designs are expected to become this season's favorite pret-a-porter collection. 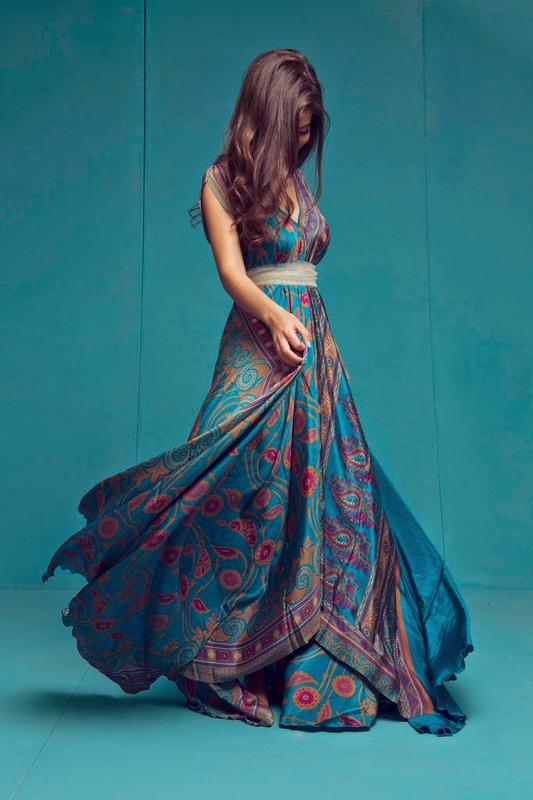 Exuding color and personality, DS Spring/Summer 2015 is furnished with comfortable harem pants, loose garments, sensual patterns, and signature Deana Shaaban summer dresses.Of course, the collection would not be complete without the staple multi-colored, flowy maxi designs perfect for both a fabulous morning function and this season's multiple beach weddings. The new collection's cultural inspirations are driven from her frequent travels around the world; with a special focus on Asia.Within each design, Indonesia, Turkey and Korea, have played a frivolous role in color choice, material and patterns.The eastern panache is, in fact, evident in almost each item; every design takes the wearer to an exotic travel destination, welcoming Spring/Summer 2015 in formidable style. To emphasize the expression of freedom and comfort, both very important to the brand, Deana breaks the traditional norms by combining asymmetric layers of delicate fabrics such as: Viscose, Cotton, Linen and Batik to Chiffon and Satin.